Remembering Today 5/9/40 Squadron Leader P.C.Pinkham 37208 Royal Air Force 19 Sqdn. Discussion in 'The War In The Air' started by CL1, Sep 5, 2012. Sec. H. Extn. Grave 4. Son of Lieut. Philip I. Pinkham. R.N.V.R. and Nora Pinkham. of Wembley. S/L Phillip C.Pinkham of No 19 Squadron was a career officer in the R.A.F. which he joined in 1935. He served with No 17 Squadron flying biplanes then he joined the Meteorological Flight. In the January of 1940 Pinkham took command of the Air Fighting School at St Athan, training pilots to fly Hurricane's. On the 10th of June 1940 he took over command of No 19 Squadron. In July he received the A.F.C. for his flying training work. 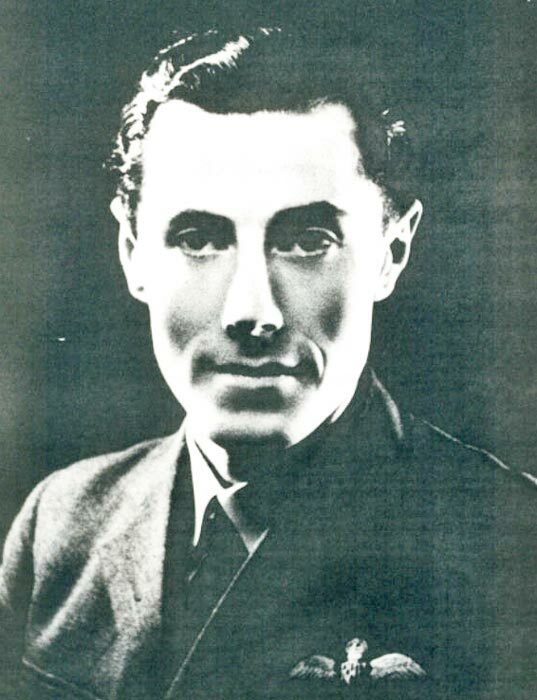 P.C.Pinkham was shot down and killed on the 5th of September 1940 at 10:15hrs. His Spitfire I (P9422) was shot down by a Bf 109 over the Thames Estuary. His aircraft crashed at Birling in Kent. S/L Pinkhams simple memorial is at the foot of the downs near Birling in Kent. It is a wooden cross that was placed at the site some years ago but has now fallen into disrepair. I am in the process of having another cross made and when complete will place it at the site. timuk, ozzy16, alieneyes and 1 other person like this. thank you Jon and well done. ozzy16 and CL1 like this. Just noticed that title of this thread is incorrect. Can it be edited in case of future searches? I am the nephew of Philip Campbell Pinkham, his brother James 'Jock' Pinkham was my father. Thank you all for your interest in Tommy, we are currently in the process of arranging a replacement cross and memorial in Birling in Kent through the RAF(19 Sqd) Association. This is likely to happen on the 80th anniversary of his death in Sept 2020 so still sometime to go. I would be happy to share information regarding this with your website and especially Jon Hayes.